something to tell to you! The progressive digitization of machines and processes is very convenient: Many cars for example monitor data on wear-and-tear parts like brakes as well as fluids and remind the driver of the next service appointment. Our SmartTechnology works likewise: It is user-friendly and conserves companies' resources. Numerous sensors transmit crucial machinery data to the ToolBox, which forwards the data-evaluation to the operator's mobile, informing e.g. about an increase of the operating temperature - before the machinery in question is shut down for safety reasons of before a severe malfunction occures. 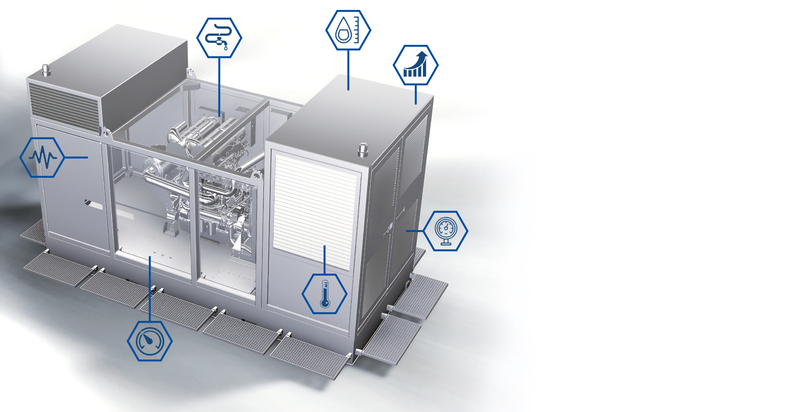 Components and fluids can be replaced without unscheduled and cost-intensive machinery standstills as the ToolBox is able to keep track of the actual operating hours. All sensitive datas are of course highly protected. Our ToolBox is able to do much more!